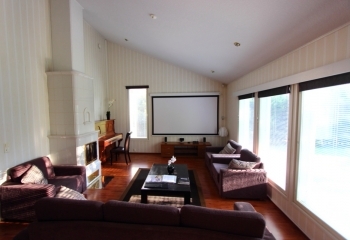 Total area inside the villa is 250 square-meters. 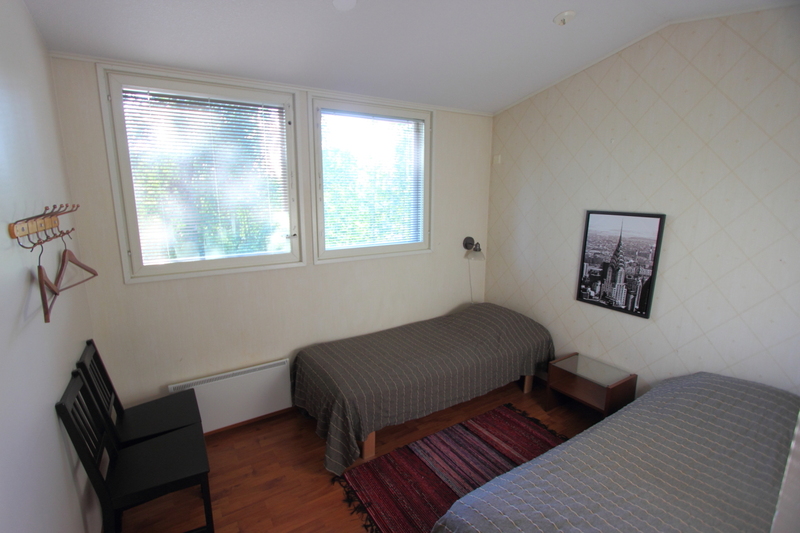 Nearly all of this space is located downstairs, only three smaller bedrooms and one toilet are upstairs. 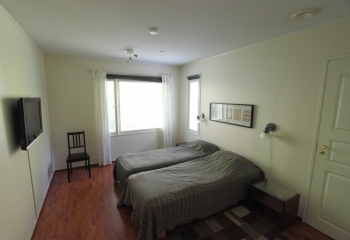 You can find the rooms below. 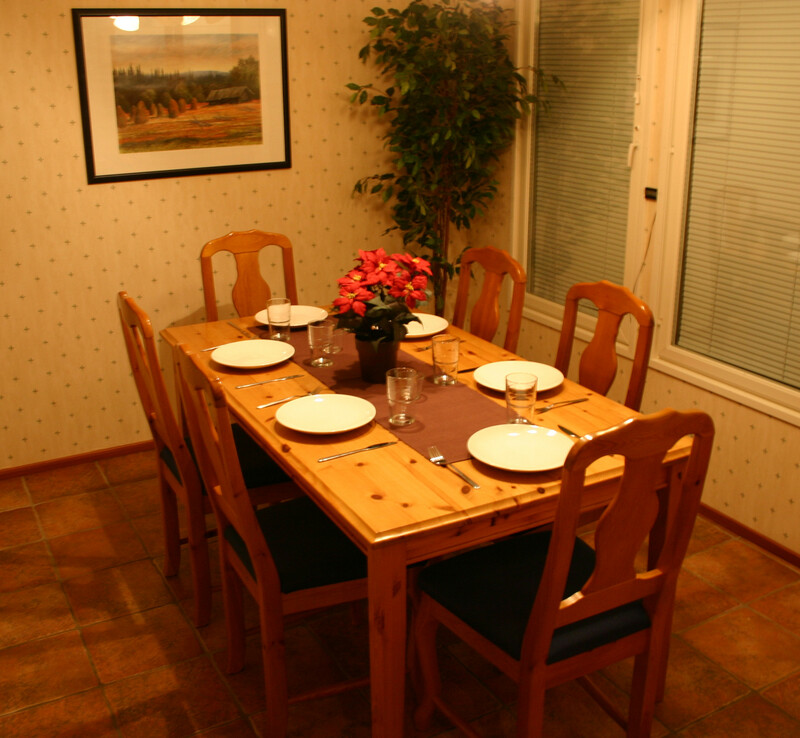 House was built year 2000, renovation and new furniture in 2006. 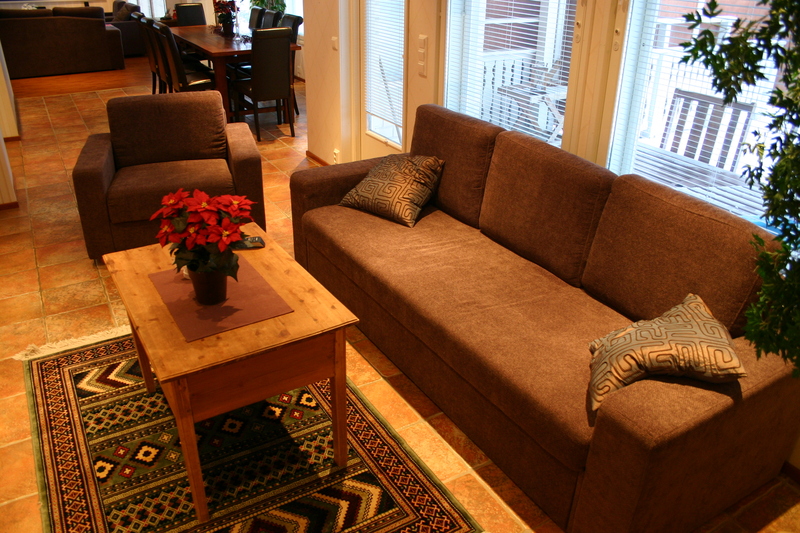 Lounge is the heart of the house. 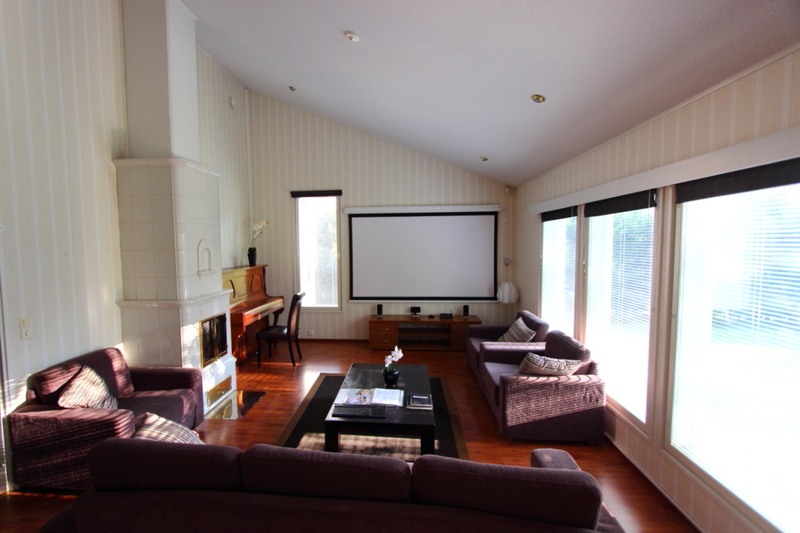 Large windows let the daylight embrace the room. 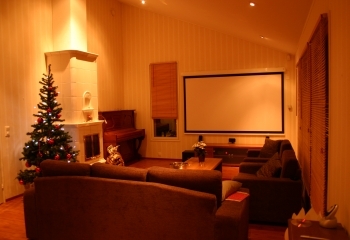 Shutters help to darken the room to enjoy the warm light of the fireplace and sweet sounds of the piano. 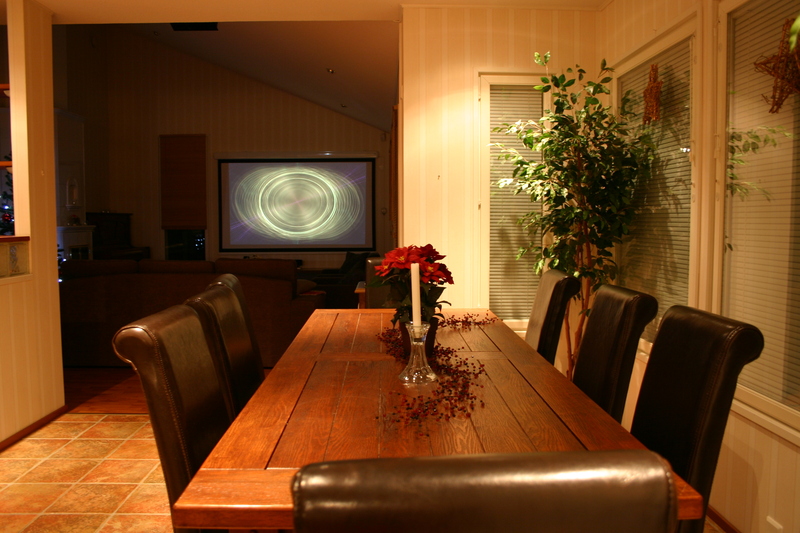 Lounge is also equipped with home theater which has a projector and multi-channel sound. 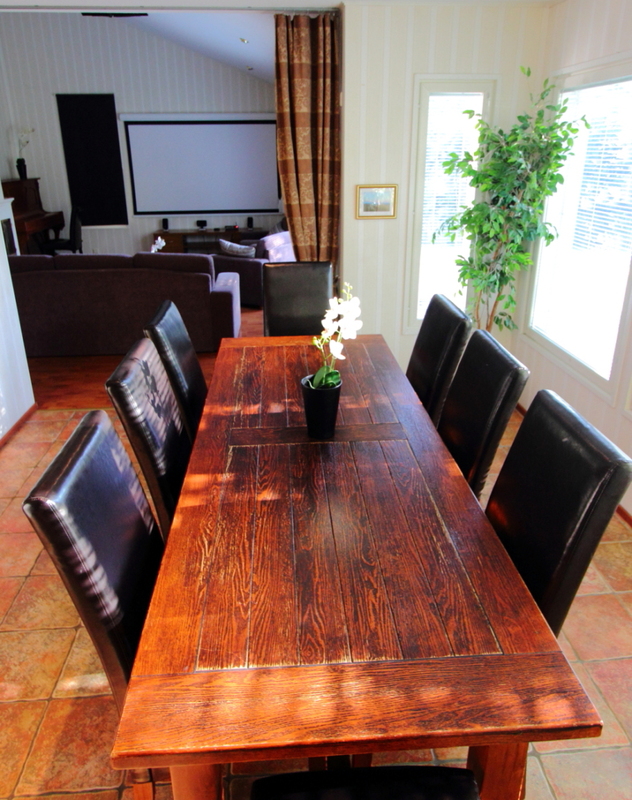 Lounge is located directly next to the kitchen and the big table, so organizing a get-together for a bigger group is quite easy. 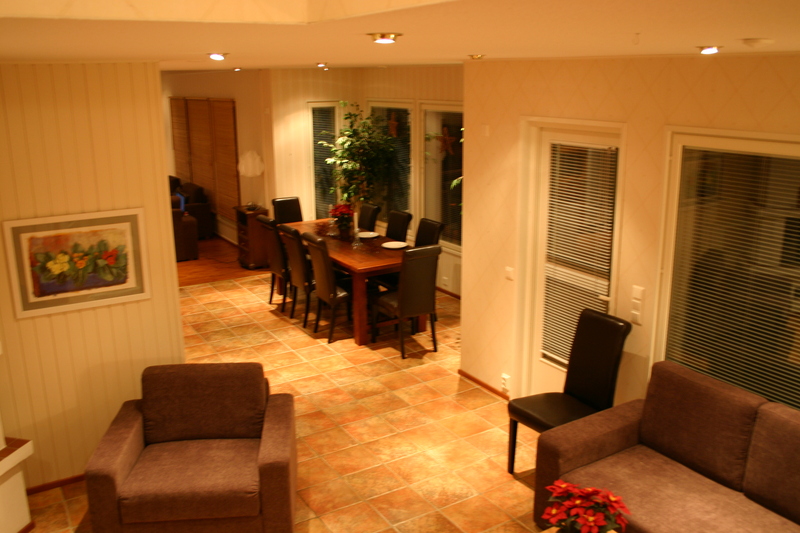 House has in total six bedrooms, 12 beds. 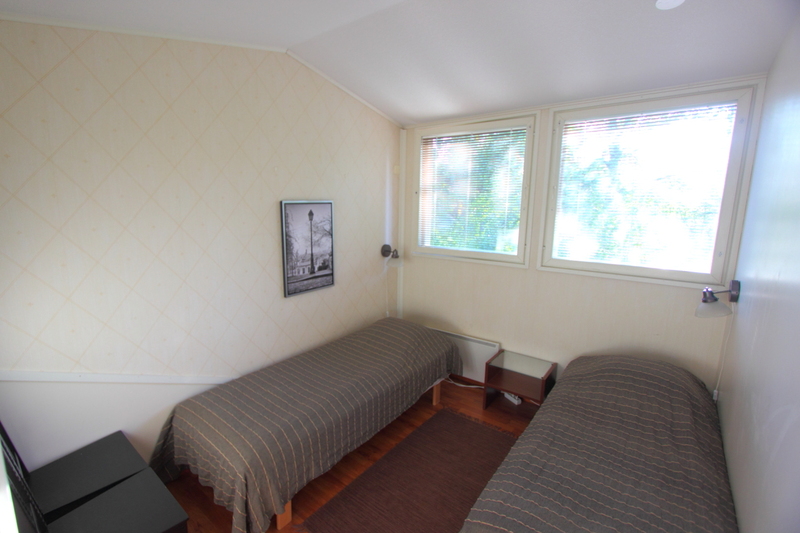 Three of the bedrooms are bigger than the other three. 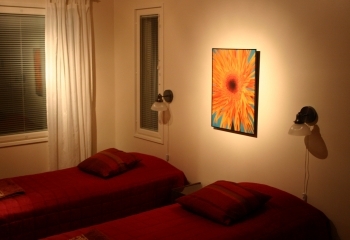 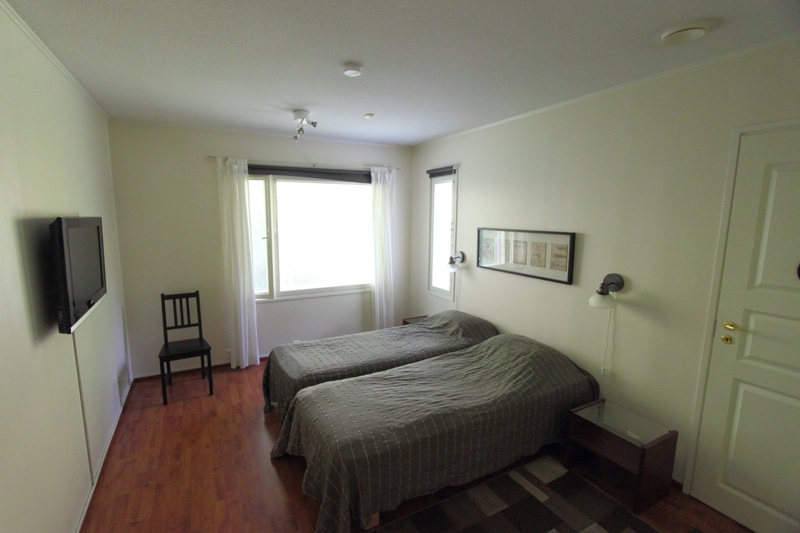 Smaller bedrooms are located upstairs, separated from the rooms downstairs. Also one toilet is upstairs. 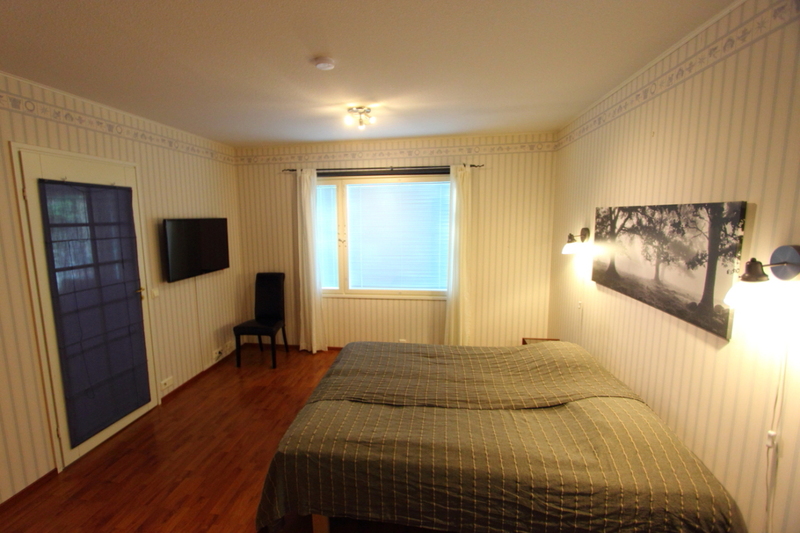 Bedrooms downstairs are bigger, each equipped with TV and a cabinet for clothes. 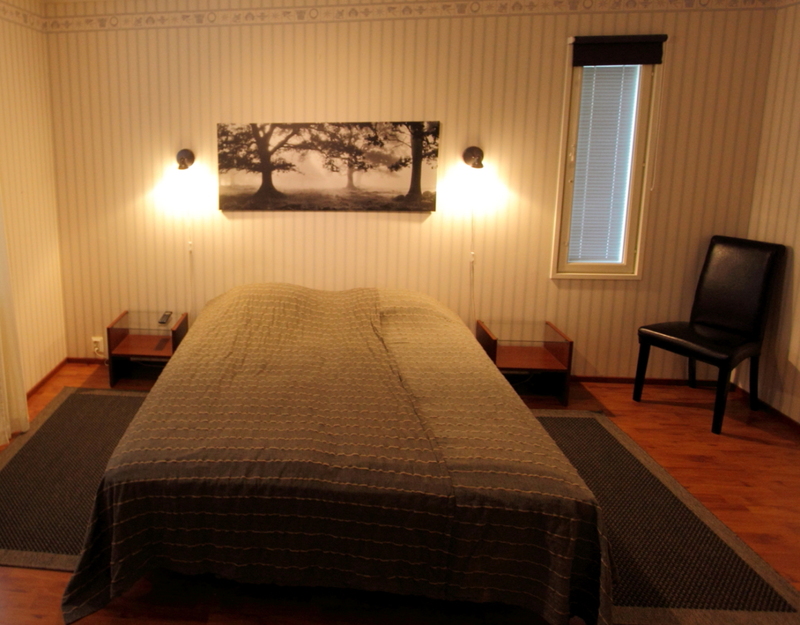 In addition to all this, seven guest beds are available. 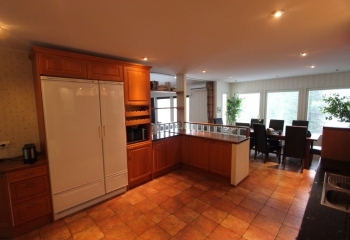 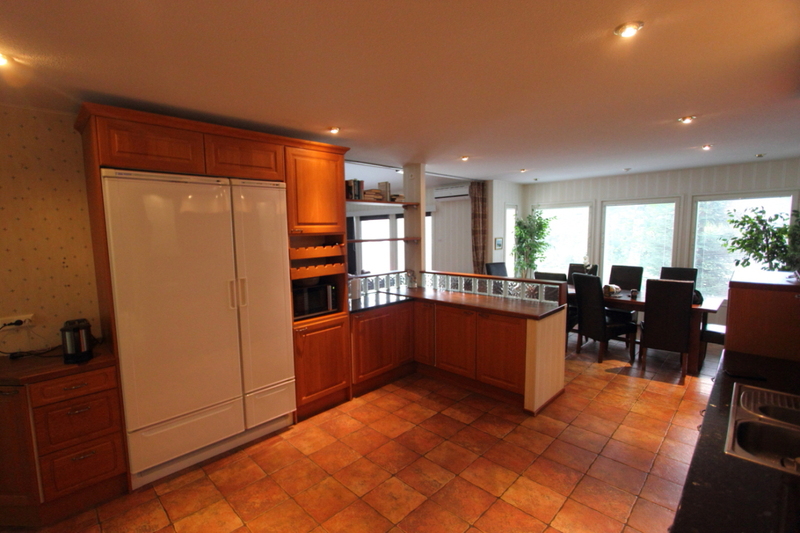 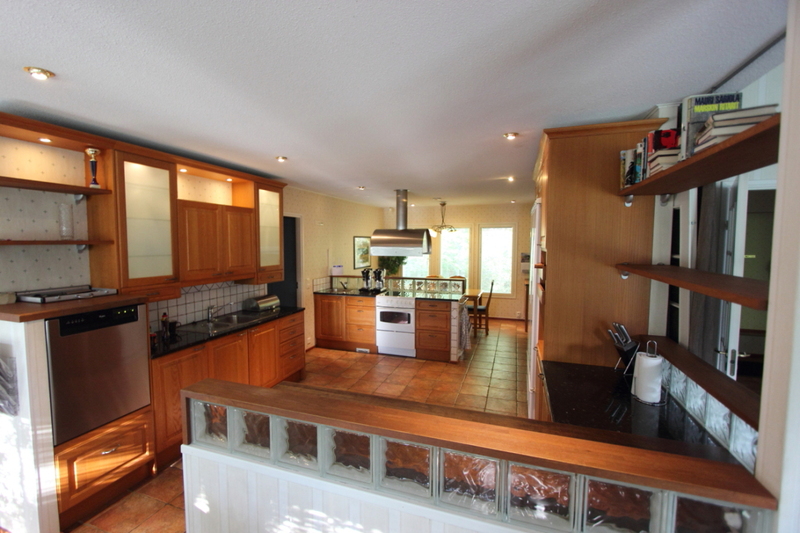 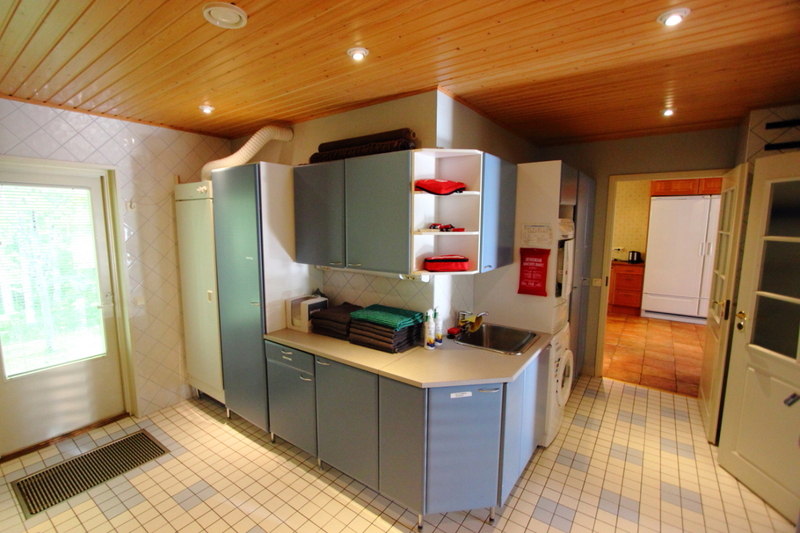 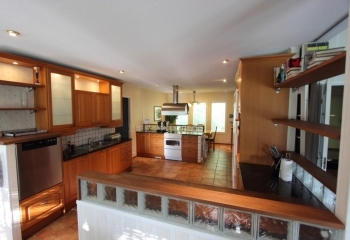 Kitchen is spacious and located in the middle of the house downstairs. 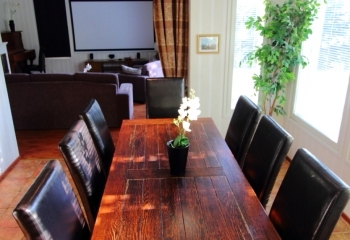 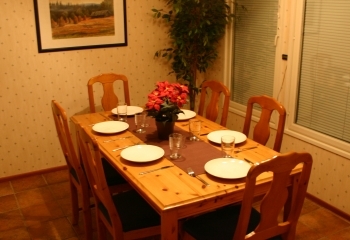 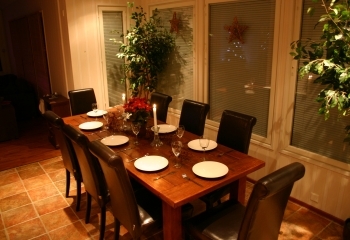 On both sides of the kitchen large dining tables are found with capacity for 14 people. 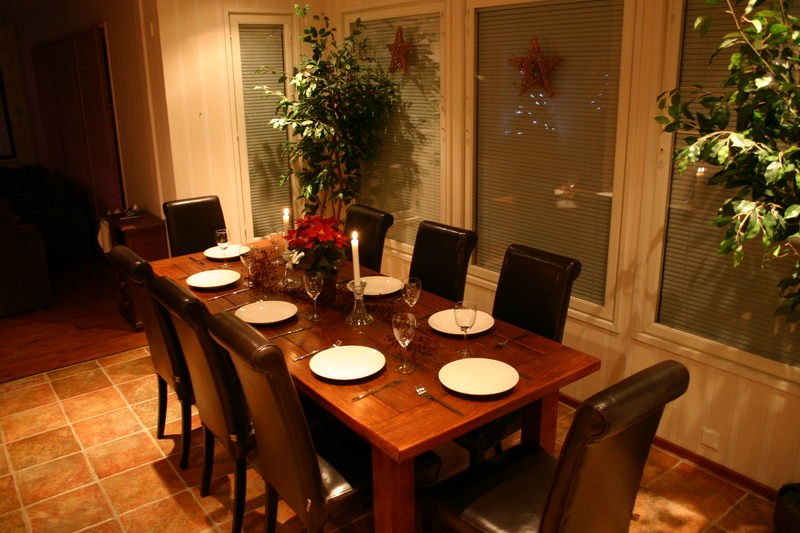 Dishes are available for 20. 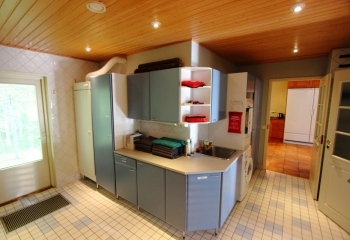 There is plenty of space to prepare food and big fridge and freezer to make sure that big groups will have no problems during their stay. 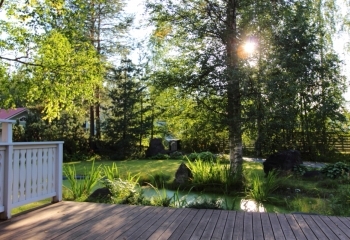 Unlike terraces usually, the one in VuokatinHelmi is in use year-round. During summertime it offers space to barbeque even for big groups and the always warm jacuzzi keeps the guests warm even when the temperatures go below zero. The terrace is protected from the curious eyes of the neighbors by a fence. 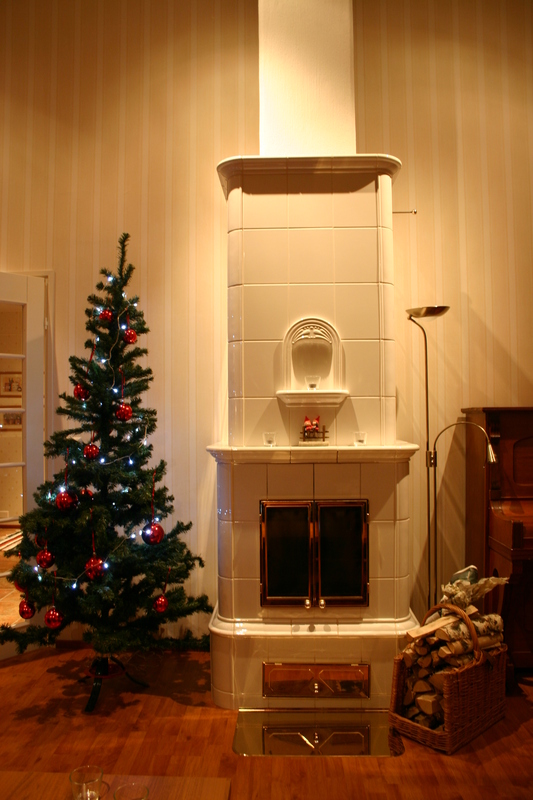 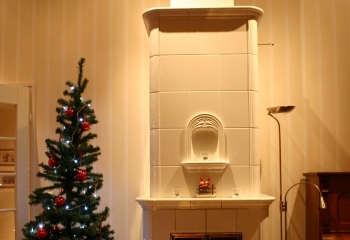 Fireplace area downstairs is multipurpose. 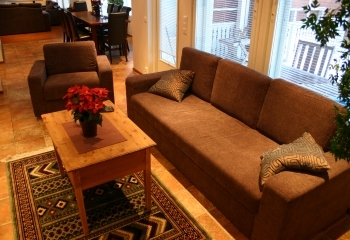 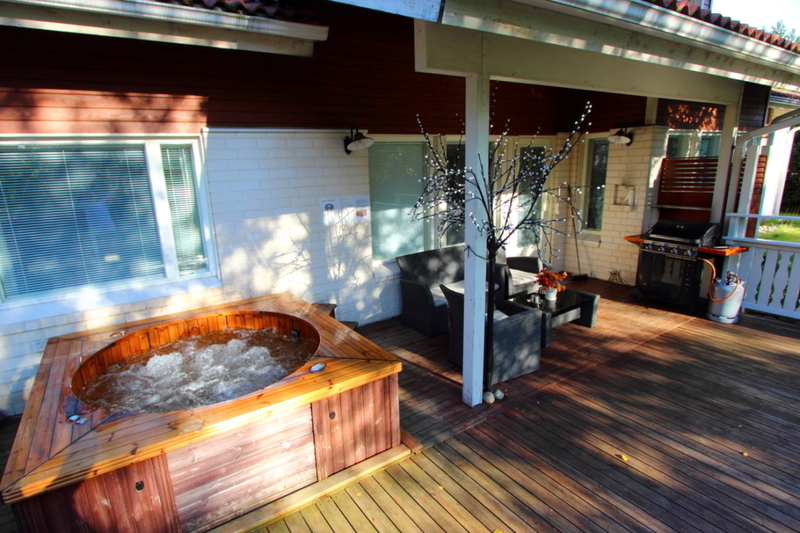 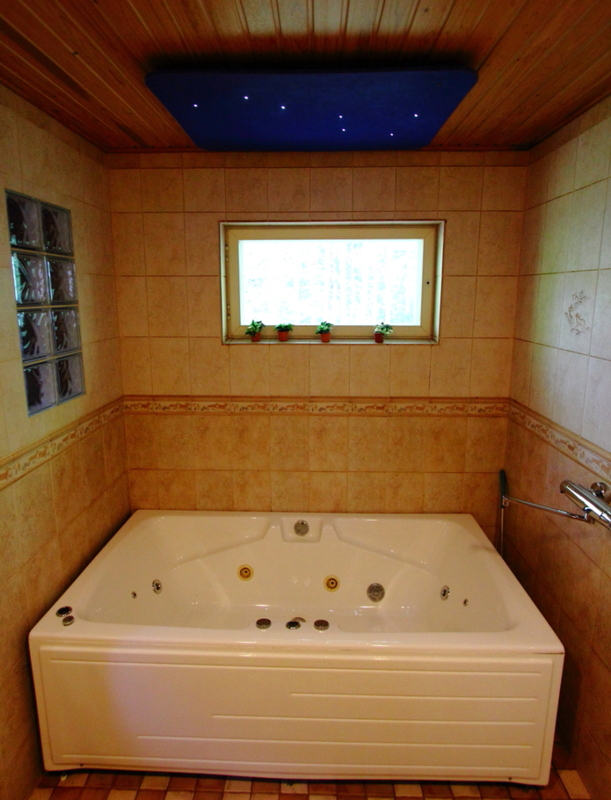 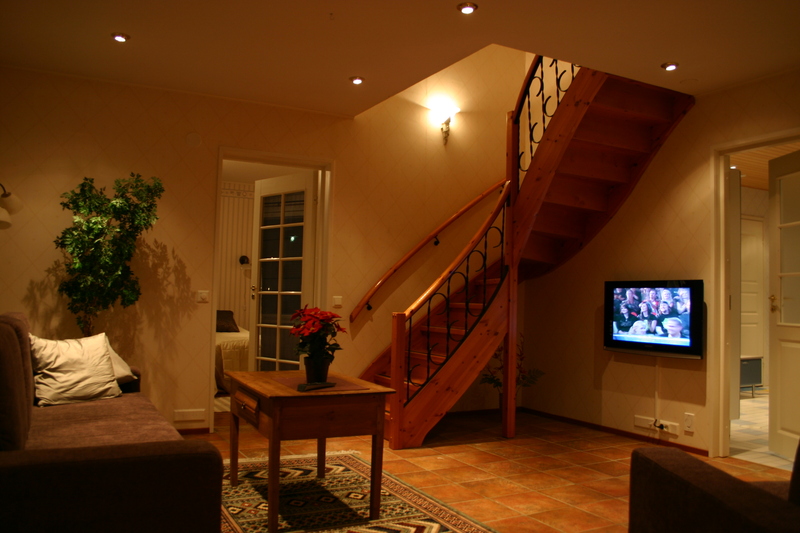 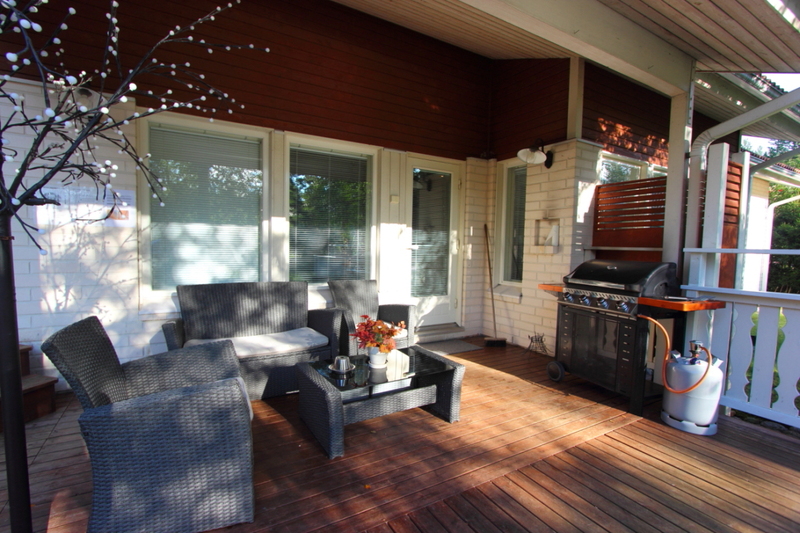 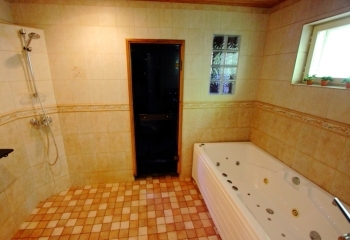 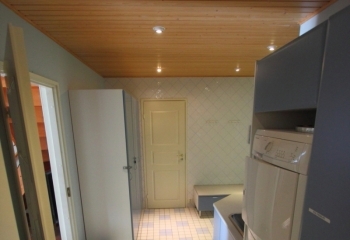 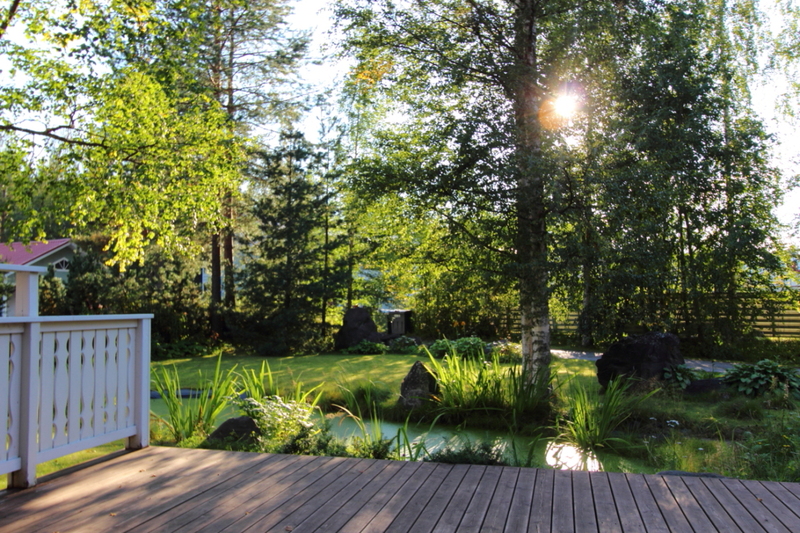 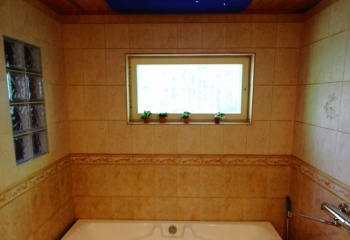 It can be walked through to terrace and the jacuzzi outside during sauna or it can be used to chill out watching TV. 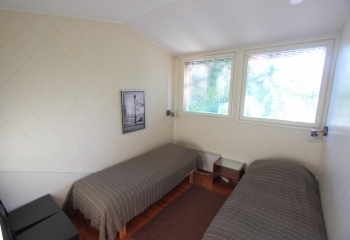 This space separates the biggest bedroom from the lounge and it is used to enter the bedrooms upstairs. 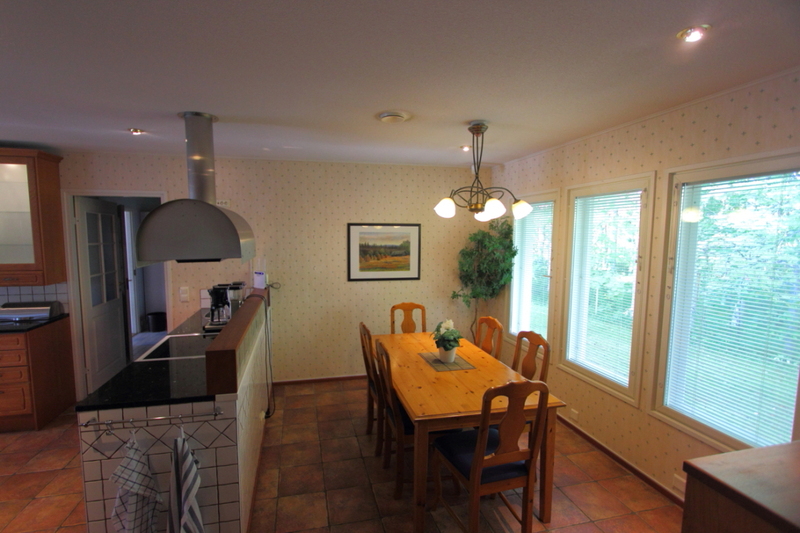 The area is spacious and next to kitchen and long dining table. 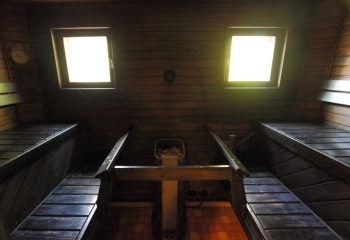 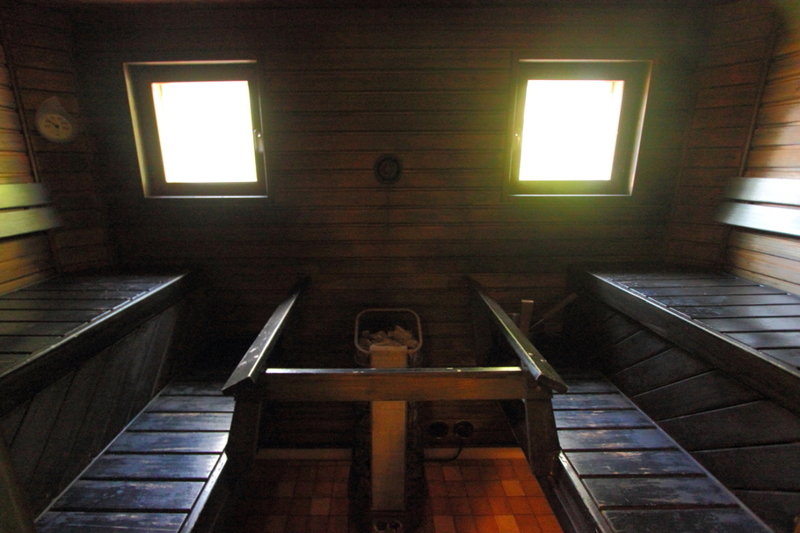 The sauna of VuokatinHelmi can fit 8 people, while two showers and a jacuzzi inside help to wash off the sweat of the day. 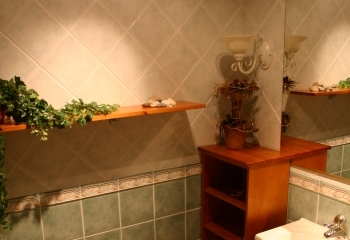 The dressing room next to washroom helps to dress up. 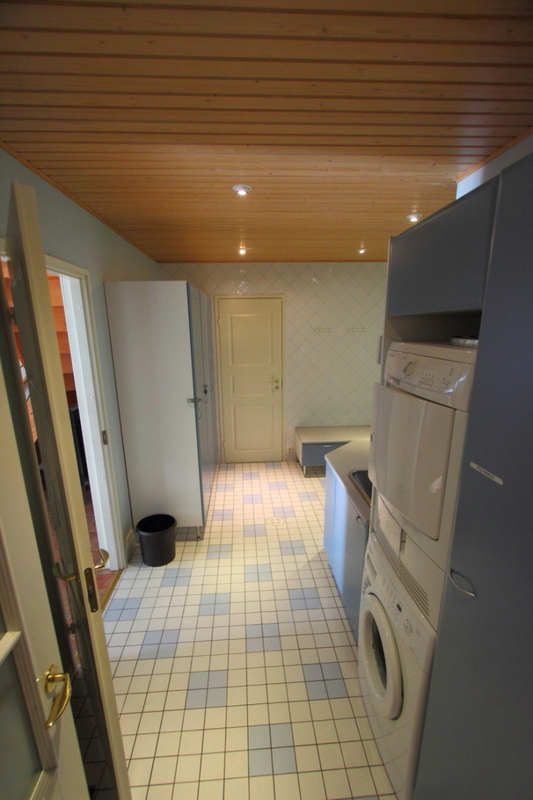 There are also washing machine, drying machine and drying cabinet to wash and dry those wet sporting clothes. 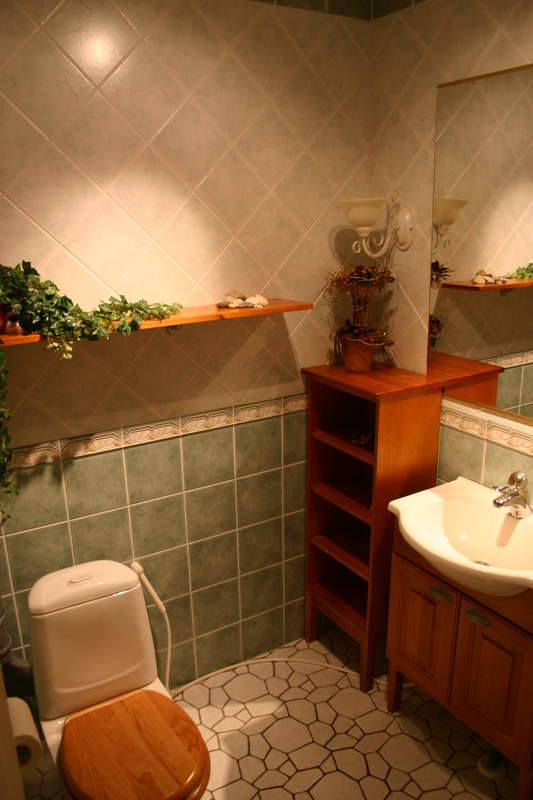 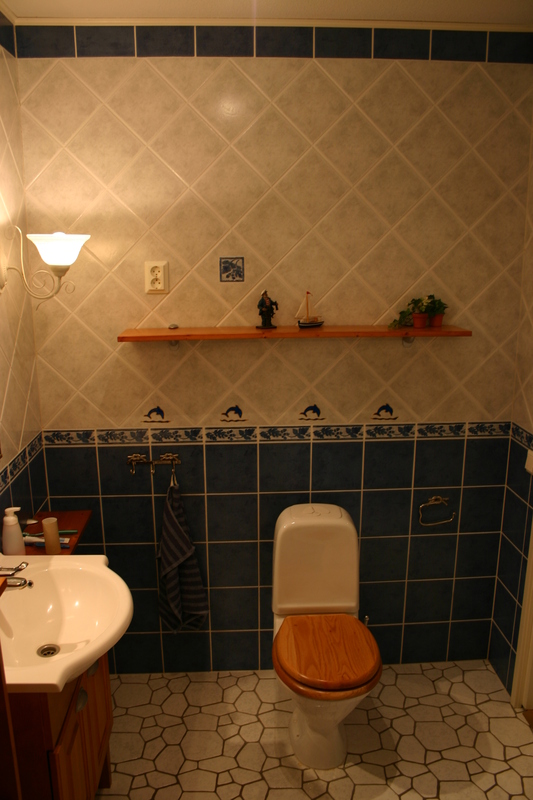 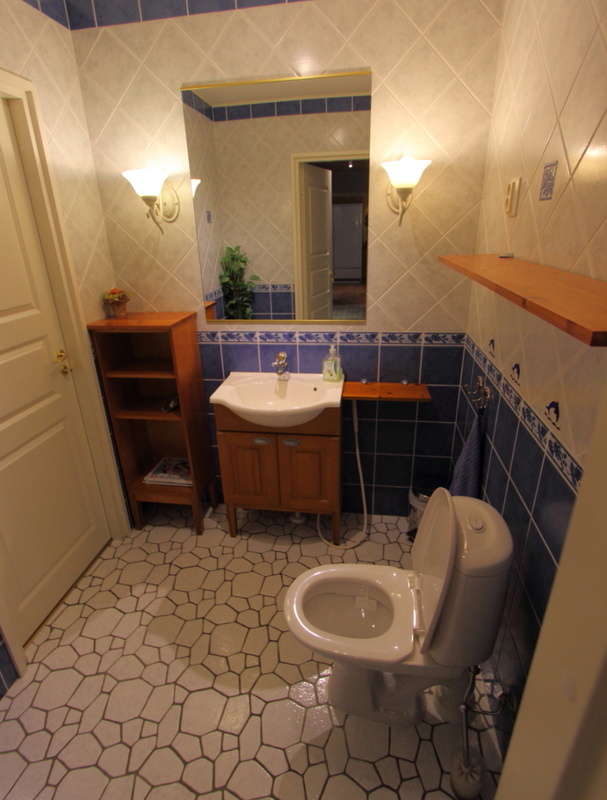 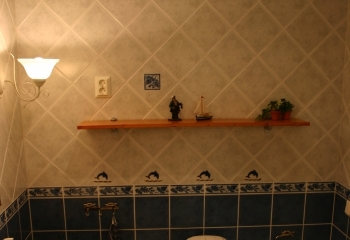 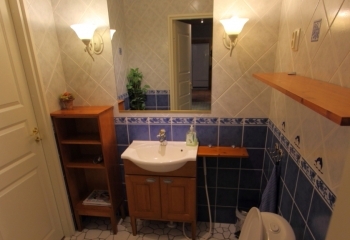 Three toilets can be found inside the house, two of them downstairs and one upstairs. 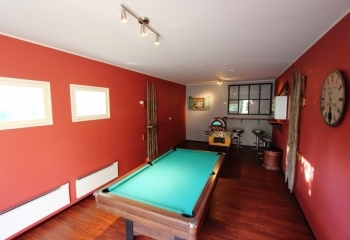 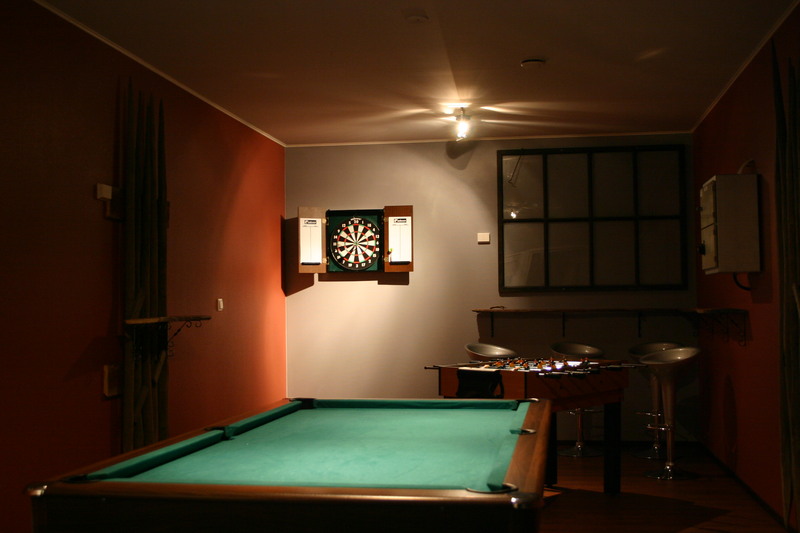 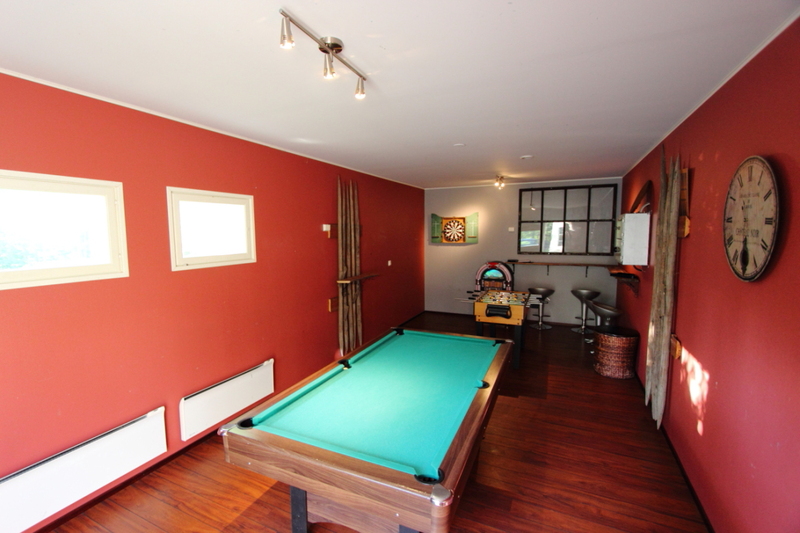 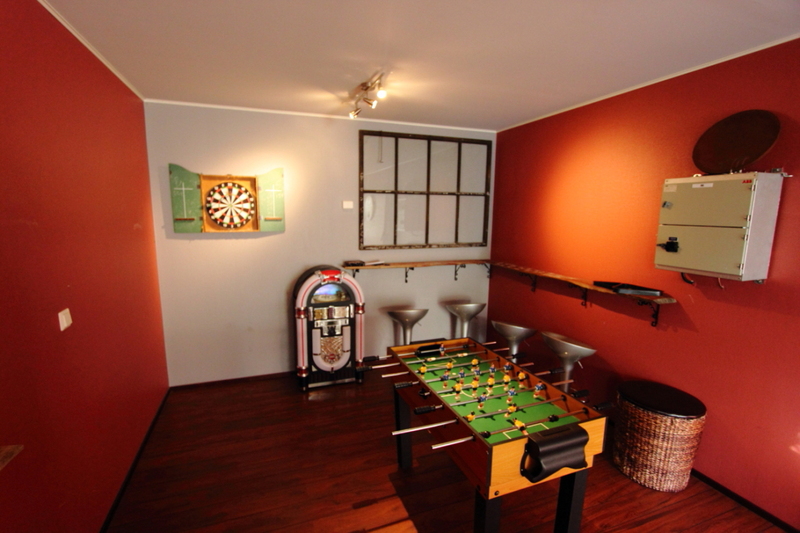 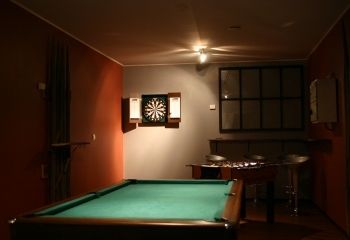 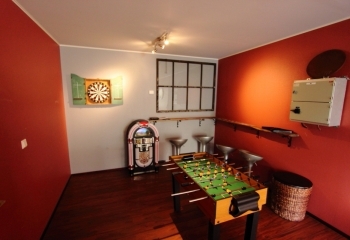 Gameroom acts as a playground for big boys and girls; there are bar tables at the back, and for entertainment biljard or fussball can be played, or darts can be thrown.